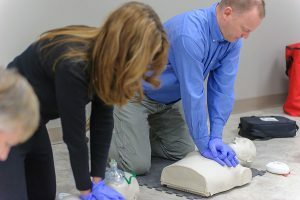 This two day program includes all of the content learned in the Emergency First Aid program. Additional topics include: head and spine injuries, bone, muscle and joint injuries, wound care, sudden medical emergencies and environmental emergencies. SFA includes a CPR-C ticket. Valid for 3 years upon successful completion of course.